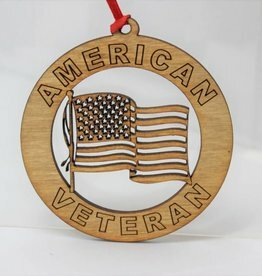 Locally designed and etched American Veteran with US Flag Wooden Ornament. 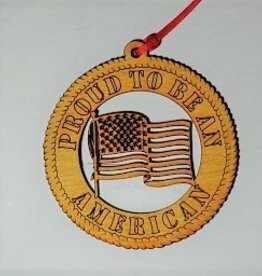 Locally designed and etched Proud to be an American Ornament. 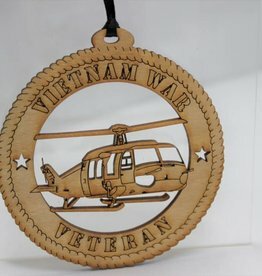 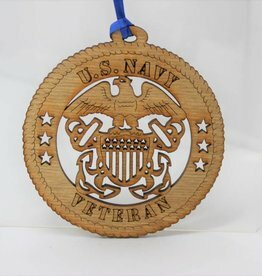 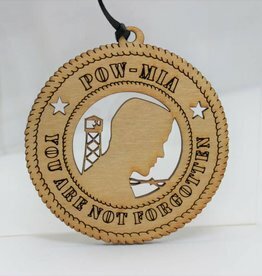 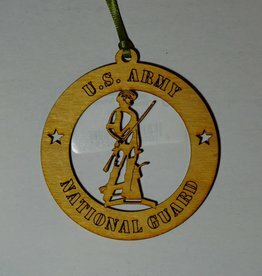 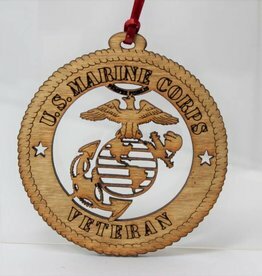 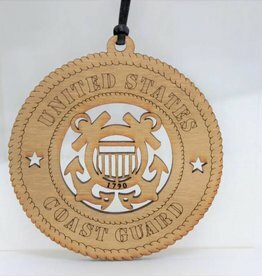 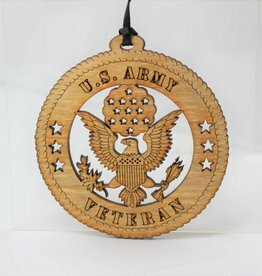 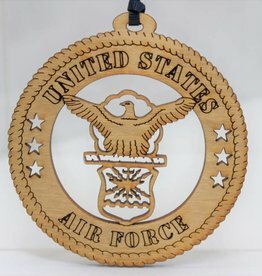 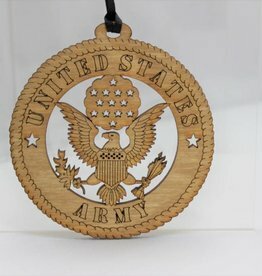 Locally designed and etched made wooden etched Army ornament.